You might not think of the hoodie as something fashionable and flattering for the fuller figure women but today I am going to convince you just in the opposite. 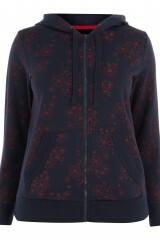 To start with, plus size hoodie is a good choice for casual wear for its functionality and coziness. Plus size hoodie is warm, especially if lined with fleece which makes it perfect for the spring or fall weather when mornings are chilly, and the temperature is rising at noon. 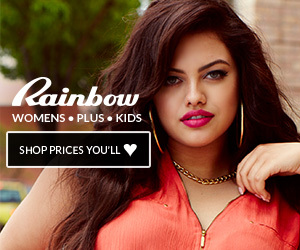 Plus size hoodie is a part of casual and sports wardrobe. Short sleeve plus size hoodie can be a substitute for a t-shirt or be layered with a tank for lightweight thermal insulation in the in- between weather. 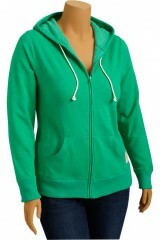 With this cotton blend plush hoodie size 12 womens you will stay trendy even in your weekend workout attire. Plus size hoodie jacket features a full front zip closure, on-seam pockets and is finished with smocked detailing at cuffs and hem. Pair with its matching lounge pants for the ultimate polished look. Plus size hoodie can make a fashion statement. There are hoodies which are trendier than the usual plus size hoodies, such as this one, a perfect blend of casual comfort and chic style. This gorgeous plus size hoodied top features short sleeve and long tunic design. It sports deep cut v-neck with string accent in the front and beautiful designer print on solid color fabric with rhinestone accents. The hoodie is available in black, blue, two shades of purple, dark red, white and gray colors in 1X, 2X, 3X junior plus sizes. The last mean to 2 sizes up for women sizes. Since the hoodie is low cut in front for best results wear it with a lace cami or long sleeve underneath. Hoodies are for everyone, plus size or not, old and young, they go well with blue denim jeans, active pants, yoga pants, denim skirts, and sweat pants and a pair of sneakers or flats. Last but not least plus size hoodies are easy to care about. Have you ever seen a hoodie with care label ‘Dry Clean Only’? Definitely not. Machine-wash your hoodie, tumble dry it and wear it. Stay cozy and look fabulous in this knit thermal hoodie from Roamans. 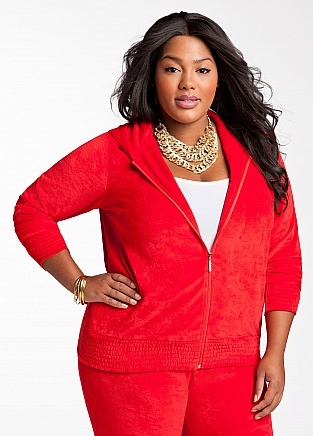 Casual extended size hoodie by Alloy perfect for curvy girls looking for style and comfort.